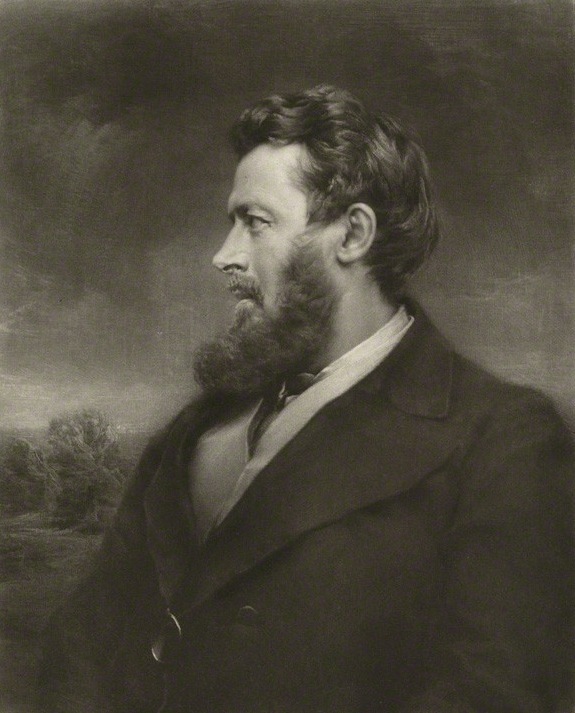 As I promised in a post a few days ago, I am today getting back to the common ancestor of all of today’s central bankers, Walter Bagehot. Bagehot is probably one of the most misquoted economist/businessmen of all times. Most people seem to think they can just cherry pick some of his claims to justify their own beliefs or policies, and leave aside the other ones. Sorry guys, it doesn’t work like that. Bagehot’s recommendations work as a whole. Here I am going to summarise what Bagehot really said about banking and regulation in his famous book Lombard Street: A description of the Money Market. I can’t recall how many times I’ve heard central bankers, regulators and journalists repeating again and again that “according to Bagehot” central banks had to lend freely. Period. Nothing else? Nop, nothing else. Sometimes, a better informed person will add that Bagehot said that central banks had to lend to solvent banks only or against good collateral. Very high interest rates? No way. Take a look at what Mark Carney said in his speech last week: “140 years ago in Lombard Street, Walter Bagehot expounded the duty of the Bank of England to lend freely to stem a panic and to make loans on “everything which in common times is good ‘banking security’.”” Typical. But possibly it may be suggested that I ought to explain why the American system, or some modification, would not or might not be suitable to us. The American law says that each national bank shall have a fixed proportion of cash to its liabilities (there are two classes of banks, and two different proportions; but that is not to the present purpose), and it ascertains by inspectors, who inspect at their own times, whether the required amount of cash is in the bank or not. It may be asked, could nothing like this be attempted in England? could not it, or some modification, help us out of our difficulties? As far as the American banking system is one of many reserves, I have said why I think it is of no use considering whether we should adopt it or not. We cannot adopt it if we would. The one-reserve system is fixed upon us. The only practical imitation of the American system would be to enact that the Banking department of the Bank of England should always keep a fixed proportion—say one-third of its liabilities—in reserve. But, as we have seen before, a fixed proportion of the liabilities, even when that proportion is voluntarily chosen by the directors, and not imposed by law, is not the proper standard for a bank reserve. Liabilities may be imminent or distant, and a fixed rule which imposes the same reserve for both will sometimes err by excess, and sometimes by defect. It will waste profits by over-provision against ordinary danger, and yet it may not always save the bank; for this provision is often likely enough to be insufficient against rare and unusual dangers. But bad as is this system when voluntarily chosen, it becomes far worse when legally and compulsorily imposed. In a sensitive state of the English money market the near approach to the legal limit of reserve would be a sure incentive to panic; if one-third were fixed by law, the moment the banks were close to one-third, alarm would begin, and would run like magic. And the fear would be worse because it would not be unfounded—at least, not wholly. If you say that the Bank shall always hold one-third of its liabilities as a reserve, you say in fact that this one-third shall always be useless, for out of it the Bank cannot make advances, cannot give extra help, cannot do what we have seen the holders of the ultimate reserve ought to do and must do. There is no help for us in the American system; its very essence and principle are faulty. To Bagehot, requirements defined by regulatory authorities were evidently even worse, whether for individual banks or applied to a central bank. I bet he would say the exact same thing of today’s regulatory liquidity and capital ratios, which are essentially the same: they can potentially become a threshold around which panic may occur. As soon as a bank reaches the regulatory limit (for whatever reason), alarm would ring and creditors and depositors would start reducing their lending and withdrawing their money, draining the bank’s reserves and either creating a panic, or worsening it. This reasoning could also be applied to all stress tests and public shaming of banks by regulators over the past few years: they can only make things worse. And this system has plain and grave evils. 1st. Because being created by state aid, it is more likely than a natural system to require state help. 3rdly. Because, our one reserve is, by the necessity of its nature, given over to one board of directors, and we are therefore dependent on the wisdom of that one only, and cannot, as in most trades, strike an average of the wisdom and the folly, the discretion and the indiscretion, of many competitors. Granted, the first point referred to the Bank of England. But we can easily apply it to our current banking system, whose growth since Bagehot’s time was partly based on political connections and state protection. Our financial system has been so distorted by regulations over time than it has arguably been built by the state. As a result, when crisis strikes, it requires state help, exactly as Bagehot predicted. The second point is also interesting given that central bankers are accused all around the world of continuously controlling and distorting financial markets through various (misguided or not) monetary policies. I shall be at once asked—Do you propose a revolution? Do you propose to abandon the one-reserve system, and create anew a many-reserve system? My plain answer is that I do not propose it. I know it would be childish. Credit in business is like loyalty in Government. You must take what you can find of it, and work with it if possible. Bagehot admitted that it was not reasonable to try to shake the system, that it was (unfortunately) there to stay. The only pragmatic thing to do was to try to make it more efficient given the circumstances. Under a good system of banking, a great collapse, except from rebellion or invasion, would probably not happen. A large number of banks, each feeling that their credit was at stake in keeping a good reserve, probably would keep one; if any one did not, it would be criticised constantly, and would soon lose its standing, and in the end disappear. And such banks would meet an incipient panic freely, and generously; they would advance out of their reserve boldly and largely, for each individual bank would fear suspicion, and know that at such periods it must ‘show strength,’ if at such times it wishes to be thought to have strength. Such a system reduces to a minimum the risk that is caused by the deposit. If the national money can safely be deposited in banks in any way, this is the way to make it safe. What Bagehot described is a ‘free banking’ system. This is a laissez faire-type banking system that involves no more regulatory constraints than those applicable to other industries, no central bank centralising reserves or dictating monetary policy, no government control and competitive currency issuance. No regulation? No central bank to adequately control the currency and the money supply and act as a lender of last resort? No government control? Surely this is a recipe for disaster! Well…no. There have been a few free banking systems in history, in particular in Scotland and Sweden in the 19th century, to a slightly lesser extent in Canada in the 19th and early 20th, and in some other locations around the world as well. Curiously (or not), all those banking systems were very stable and much less prone to crises than the central banking ones we currently live in. Selgin and White are experts in the field if you want to learn more. If free banking was so effective, why did it disappear? There are very good reasons for that, which I’ll cover in a subsequent post on the history of central banking. I am not claiming that Bagehot held those views for his entire life though. A younger Bagehot actually favoured monopolised-currency issuance and the one-reserve system he decried in his later life. I am not even claiming that everything he said was necessarily right. But Bagehot as a defender of free banking and against regulatory requirements of all sort is a far cry from what most academics and regulators would like us to believe today. Personally, I find that, well, very ironic.